THE UNDERCURRENT is a new standalone spec-fic thriller by Paula Weston, the author of the Rephaim series, and it was recently longlisted for the Sisters in Crime 2018 Davitt Awards in the YA Crime category. 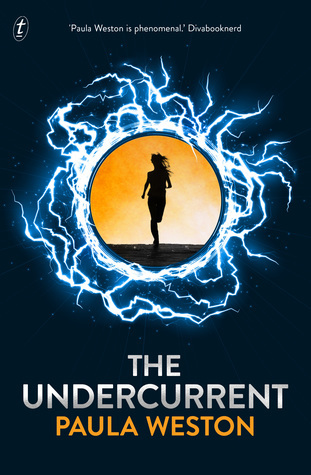 You can order a print copy of THE UNDERCURRENT at Boomerang Books, with free shipping available by using the ‘loveoz’ code at checkout. Alternatively, the e-copy is available here. Hope you enjoy this month’s title! Feel free to join us at any point as we read together this month – there will be an author Q&A coming soon, and then a title discussion thread on the Facebook group page near the end of the month.